Beast Mtawarira’s legend continues to grow in an important year for South African rugby, writes JON CARDINELLI. 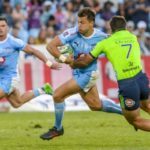 Proposals to form a World League and expand the Pro14 tournament to include more South African teams pose more questions than answers, writes JON CARDINELLI. 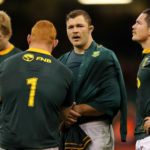 The game management of South Africa’s premier scrumhalves and flyhalves must improve in the lead-up to the World Cup, writes JON CARDINELLI. 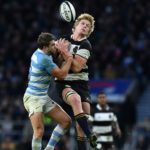 The South African franchises – as well as the Springboks – would do well to emulate a well-balanced England side in the coming months, writes JON CARDINELLI. 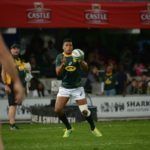 Rassie Erasmus has to manage the overplayed trio of Pieter-Steph du Toit, Siya Kolisi and Handré Pollard more carefully in the lead-up to the World Cup, writes JON CARDINELLI. 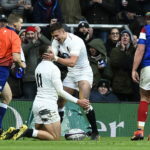 The home nations have outperformed South Africa and Australia for the better part of three seasons and will head into the 2019 World Cup with a psychological edge, writes JON CARDINELLI. 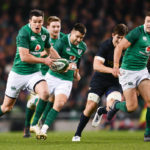 The absence of several frontline backs will force Rassie Erasmus to experiment with new individuals and combinations with a view to the World Cup, writes JON CARDINELLI. 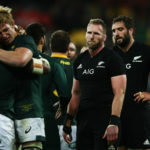 The win in Wellington was a triumph in isolation as well as a timely reminder of the Springboks’ latent powers a year out from the World Cup, writes JON CARDINELLI. 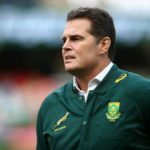 It’s becoming increasingly difficult to tell what Rassie Erasmus is trying to achieve with this Springbok side in the short and long term, writes JON CARDINELLI. 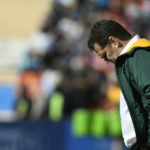 The Springboks were physically and mentally outplayed in an away Test for the umpteenth time when they suffered a record defeat to Argentina in Mendoza, writes JON CARDINELLI.